Governments should view Uber and Lyft as friends, not enemies. Earlier this week, Uber and Lyft followed through on threats to halt doing business in the nation’s 11th biggest city, after Austin’s voters reaffirmed stricter regulations over ridesharing companies. The companies’ exit on Monday might simply seem like the latest move in an ongoing game of regulatory chicken between the ridesharing giants and city governments. But this stalemate hurts thousands of Austin residents and drivers a lot more than it hurts the companies. It is time to recognize that the platforms are not “bad actors” that need to be kept in line. Rather, they are new and responsible intermediaries reshaping the transportation industry and beyond in the face of outdated regulations. Governments should view them as partners crucial to re-writing regulations to be more decentralized and data-driven. Austin is perhaps the last place thought to be unfriendly to tech. Home to the SXSW Interactive conference, the city’s attitudes toward ridesharing startups have evolved in interesting ways; at SXSW in 2013, an army of Lyft “providers” donned pink mustaches and gave attendees piggyback rides to underscore the legal uncertainties of their vehicle-based ridesharing service. When the Austin City Council voted to essentially legalize ridesharing in October 2014, it seemed they were living up to the city’s tech-savvy and forward-looking image. Read the full article as published in Fortune. 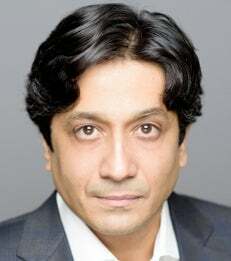 Arun Sundararajan is a Professor of Information, Operations and Management Sciences, Robert L. & Dale Atkins Rosen Faculty Fellow, and Doctoral Coordinator of IOMS-Information Systems.